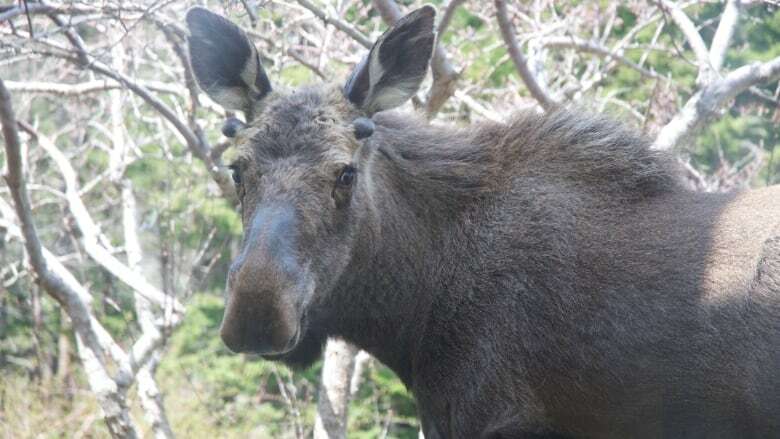 A moose that was trotting around St. John's Saturday night eventually led police to something unexpected: a stolen vehicle. The Royal Newfoundland Constabulary received several calls about the animal, which police said seemed determined to head south. The RNC said the wandering moose made its way through the city's Rabbittown area, headed west, and then continued south toward downtown. Officers tried to contain the moose a number of times and drive it back to wooded areas in the north, but it kept evading the containment. In a statement, the RNC said "much to everyone's surprise, [the moose gave] police a hand," and led them to a vehicle that had been reported stolen the previous day. The moose was last seen heading into the trees of the Southside Hills.